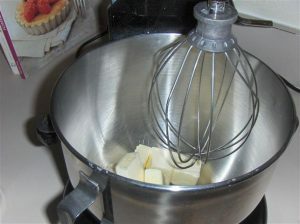 While creaming butter and sugar. 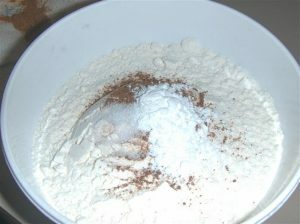 Mix baking soda, salt, flour and nutmeg in a separate bowl and set aside. 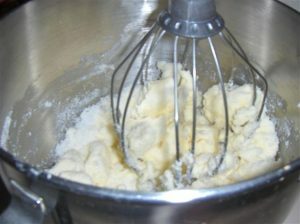 Add flour mixture alternately with buttermilk. 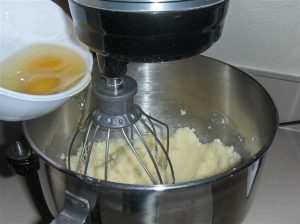 Mix together sugar and butter until well blended. 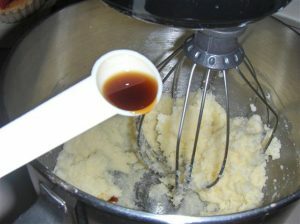 Add vanilla and eggnog and continue to beat until well blended. 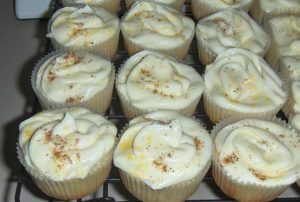 If the consistency isn’t right don’t be afraid to add more sugar/eggnog. 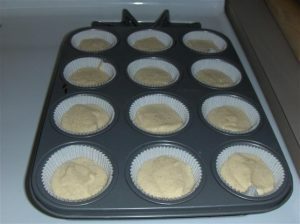 Frost Cupcakes add a pinch of nutmeg to the top. 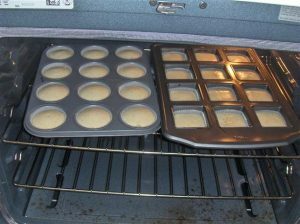 Remember never be afraid to experiment, the worst that can happen is that it doesn’t taste good! 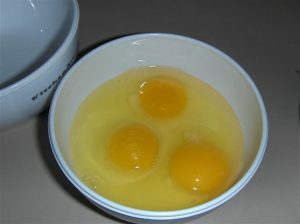 Some things I like to change are the sugar (half brown half white) also I never have buttermilk in the house I always use Soy Milk/Vinegar and let it sit for a minute.